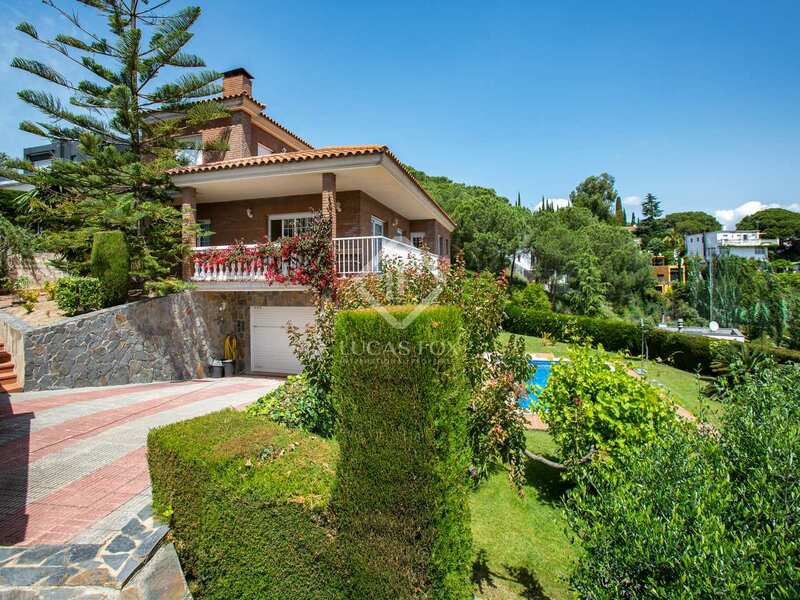 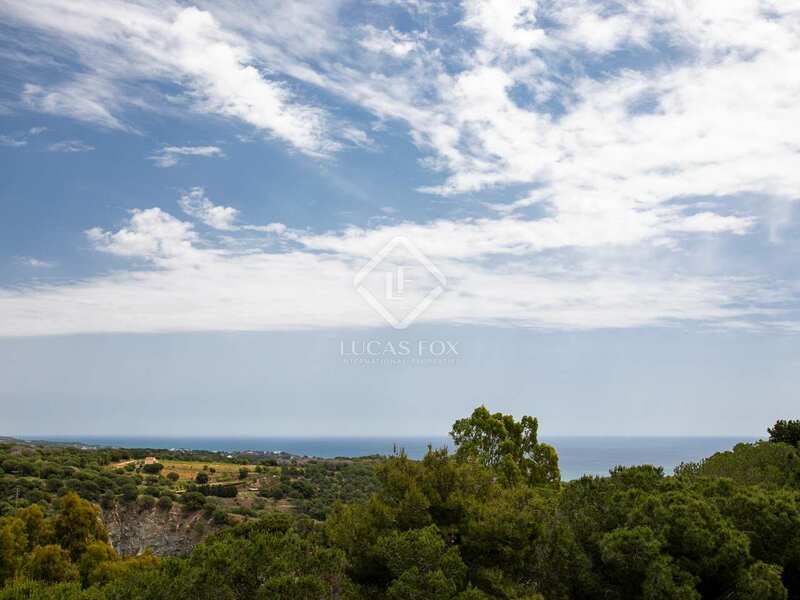 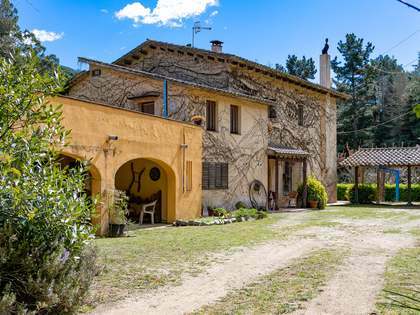 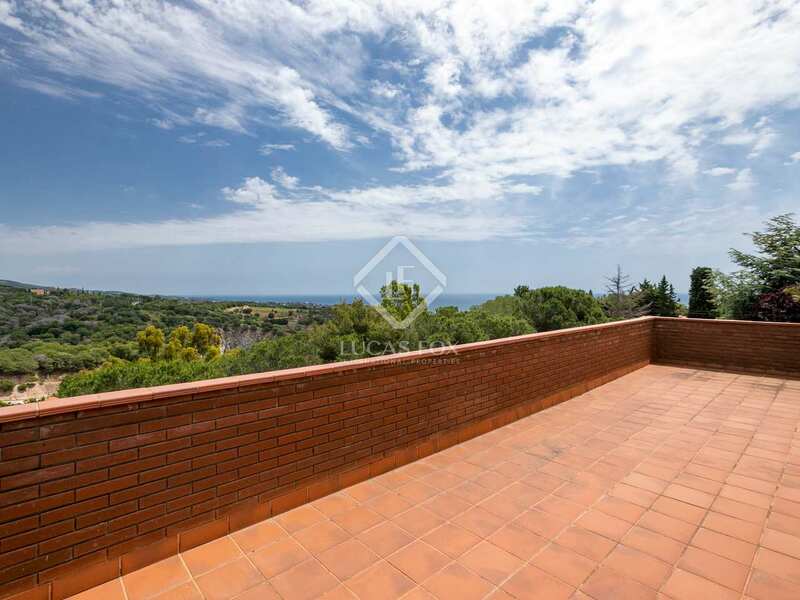 Detached traditional style brick house with 4 bedrooms and a level plot with a pool and lovely views of the sea and surrounding hills, located walking distance from the centre of Sant Vicenç de Montalt. 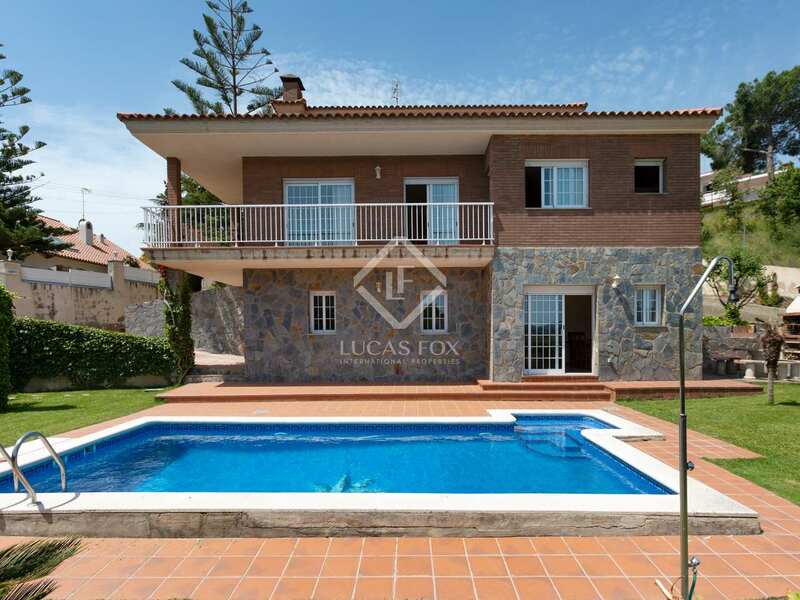 This excellent detached house of 317 m² was built in 2001 and is located on a quiet street within walking distance of the centre of Sant Vincenç de Montalt and a short drive away from 2 golf courses. 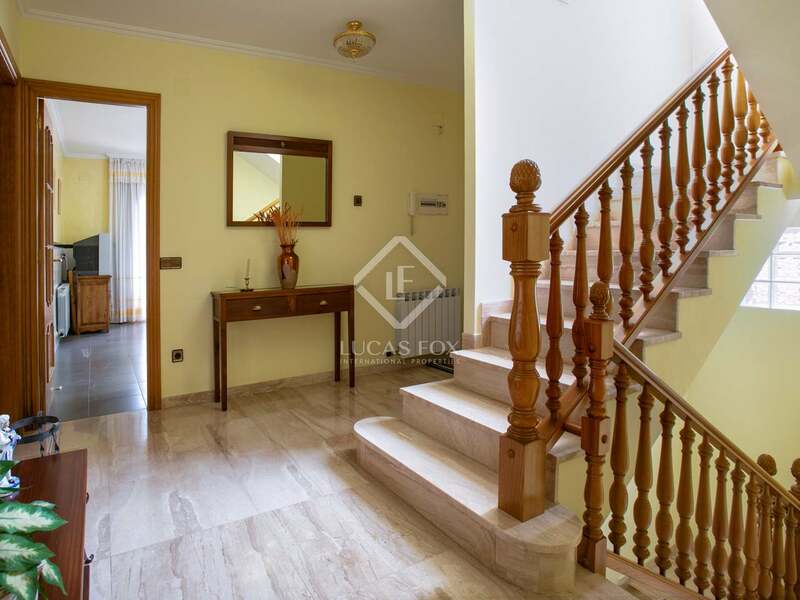 We enter the house on the ground floor where we find the main living area including a kitchen with a breakfast area, a living/dining room with doors out to the terrace, a bathroom and 2 double bedrooms, one of which has its own dressing room and bathroom. 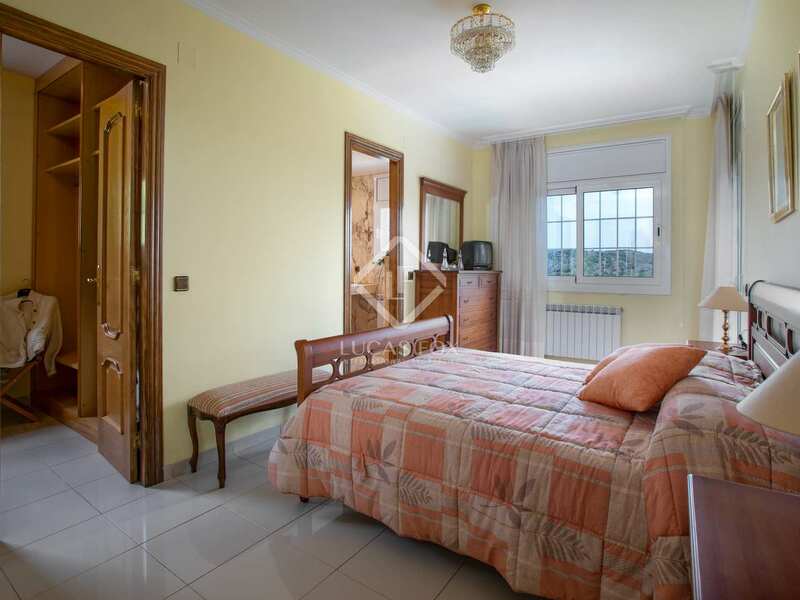 The first floor offers 2 double bedrooms with fitted wardrobes and a shared bathroom with a bathtub and a shower. 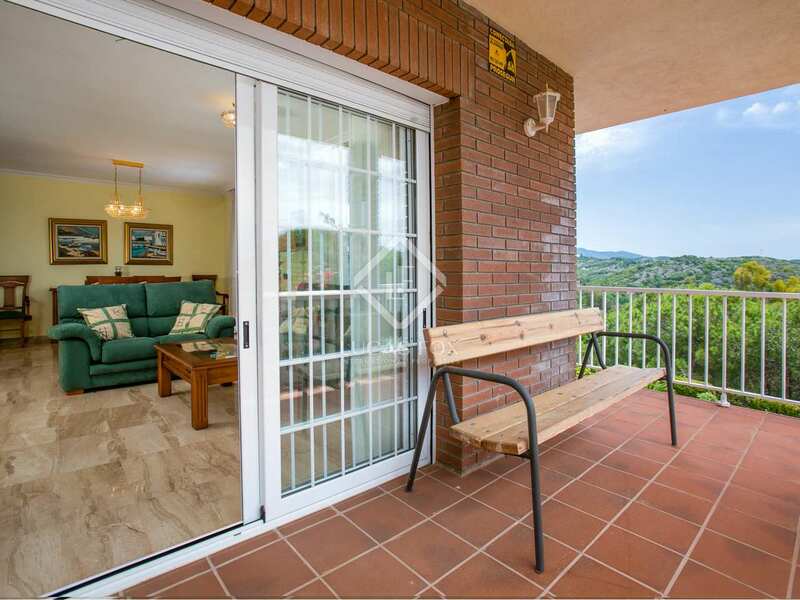 There are doors on this level to the roof terrace. 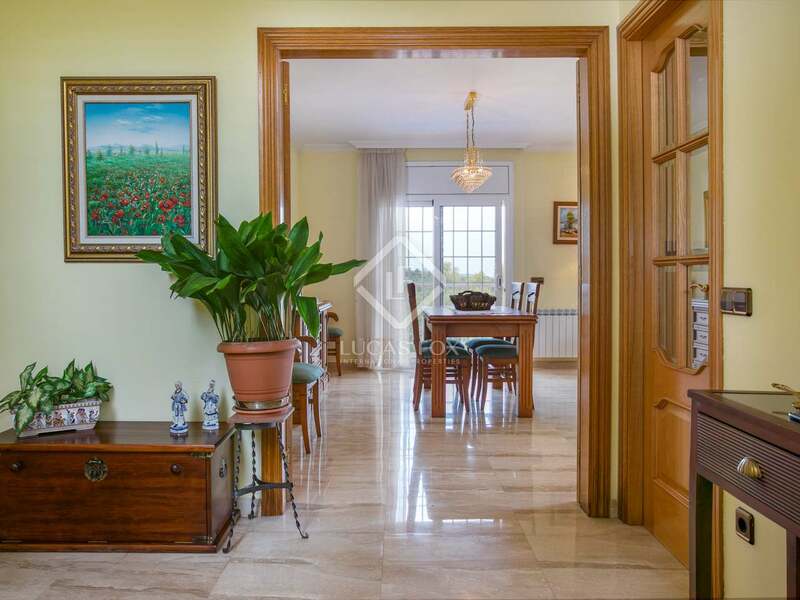 The lower ground floor is occupied by a particularly spacious multipurpose room which is currently used as summer dining room. 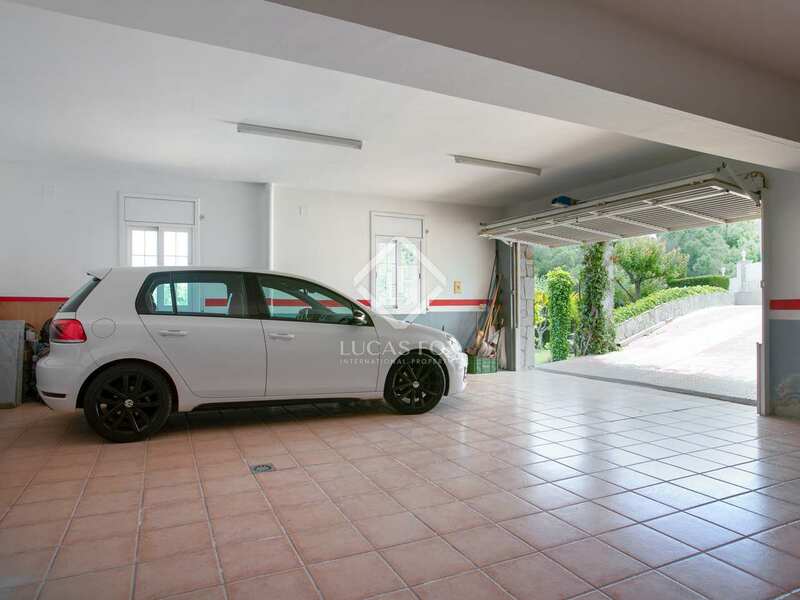 A guest toilet, shower room and 3-car garage complete this level of the house. 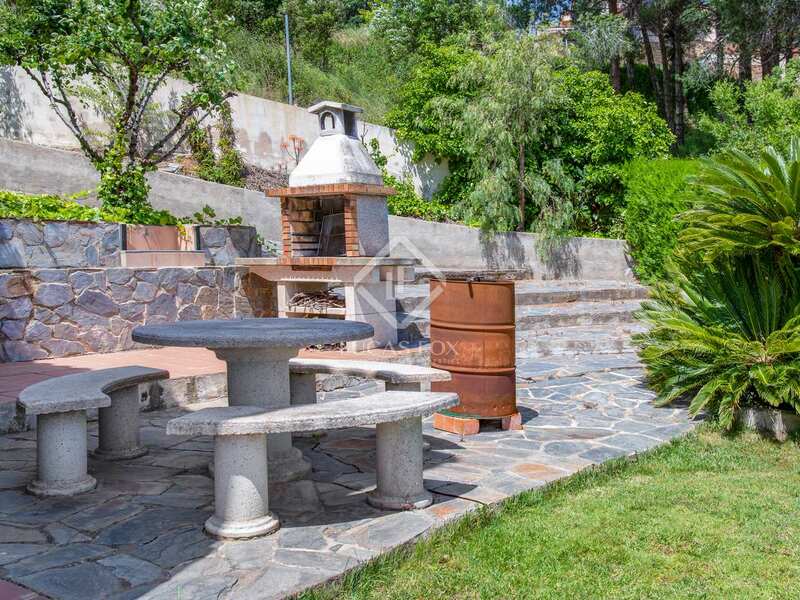 Stepping outside we find a lower level garden with green areas, the barbecue dining area and the swimming pool. 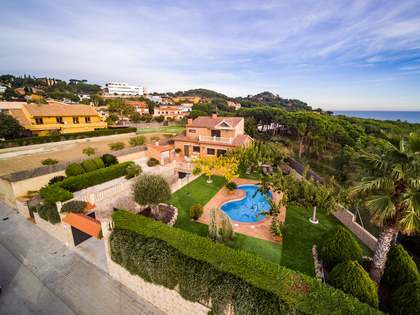 The southern aspect provides sunlight all day. 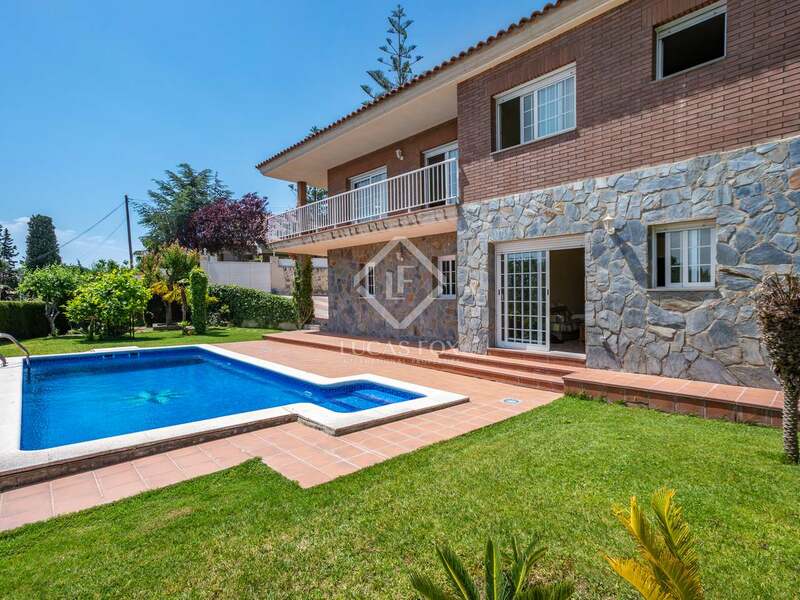 Additional features of the home include gas central heating, double glazed windows, a marble bathrooms and flooring and the potential to extend the house on first floor to cover the terrace and make another bedroom. 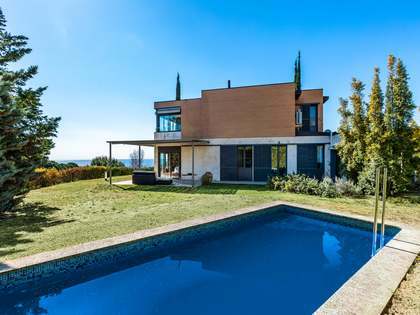 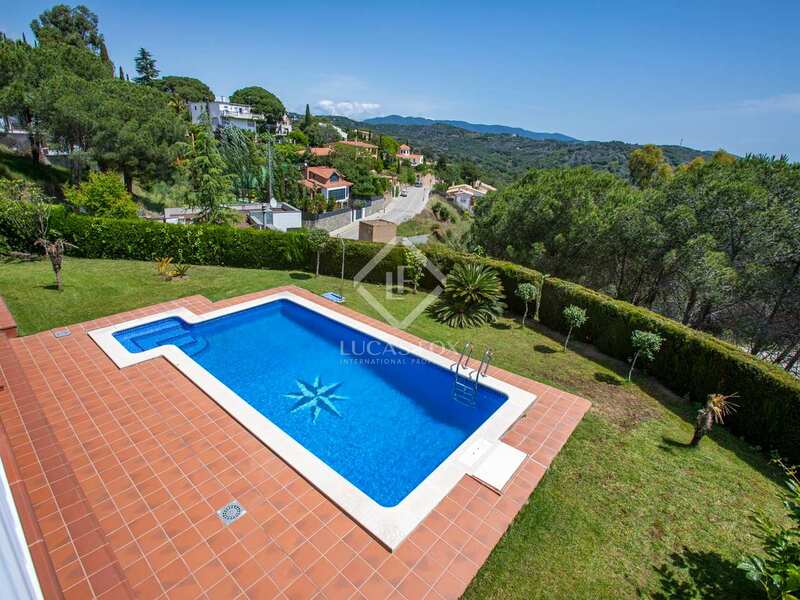 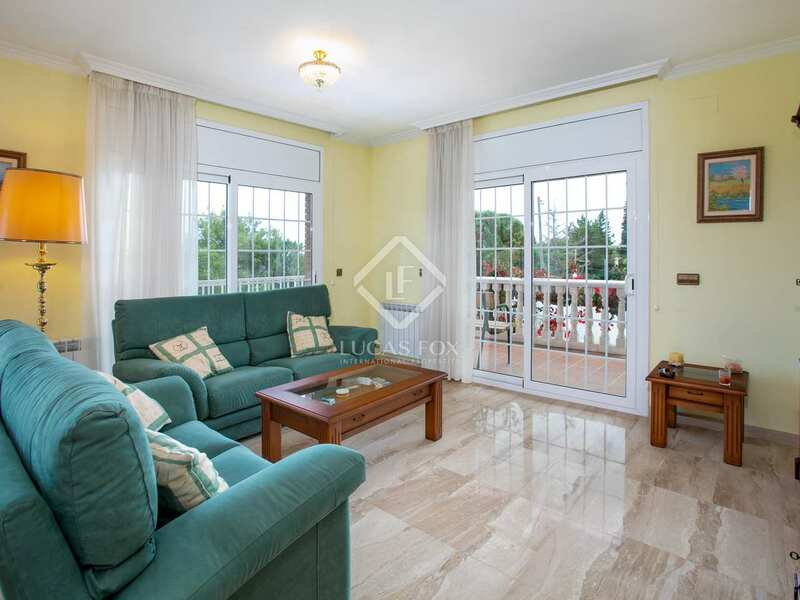 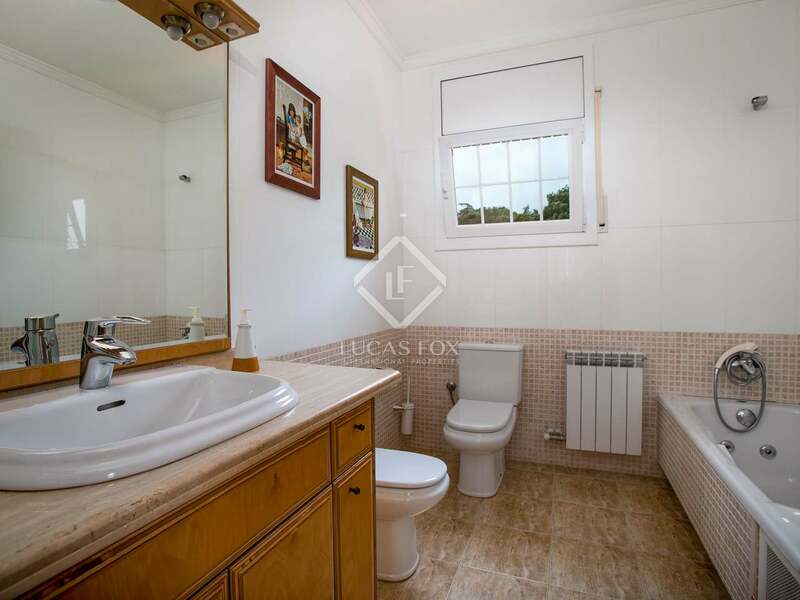 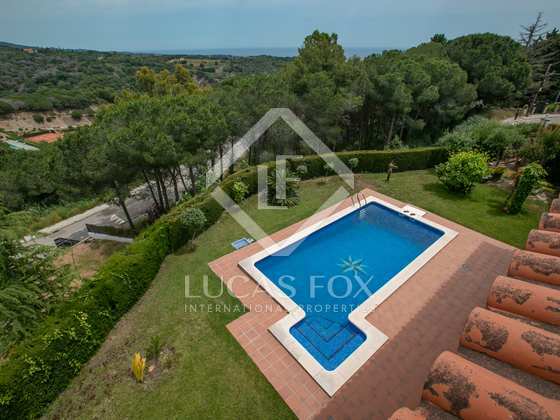 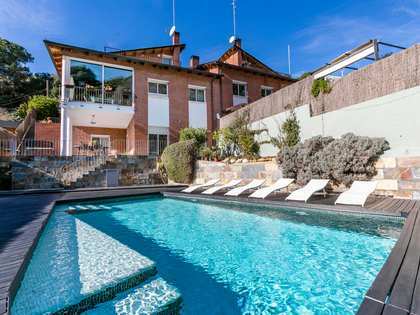 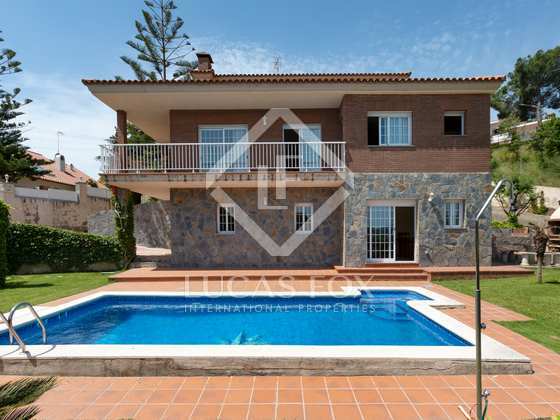 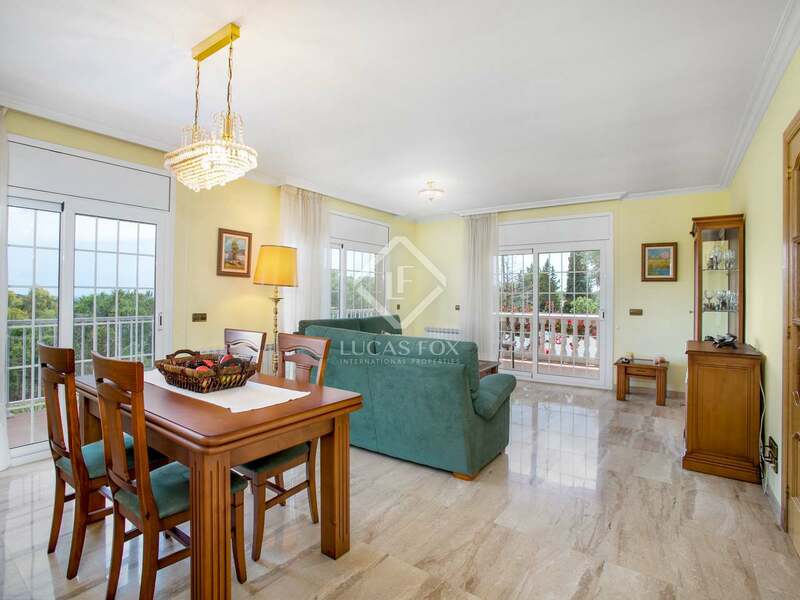 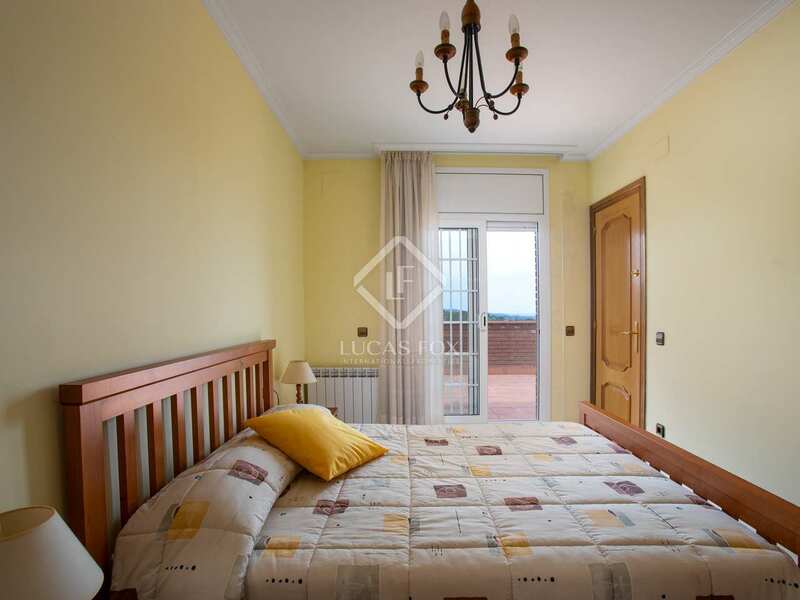 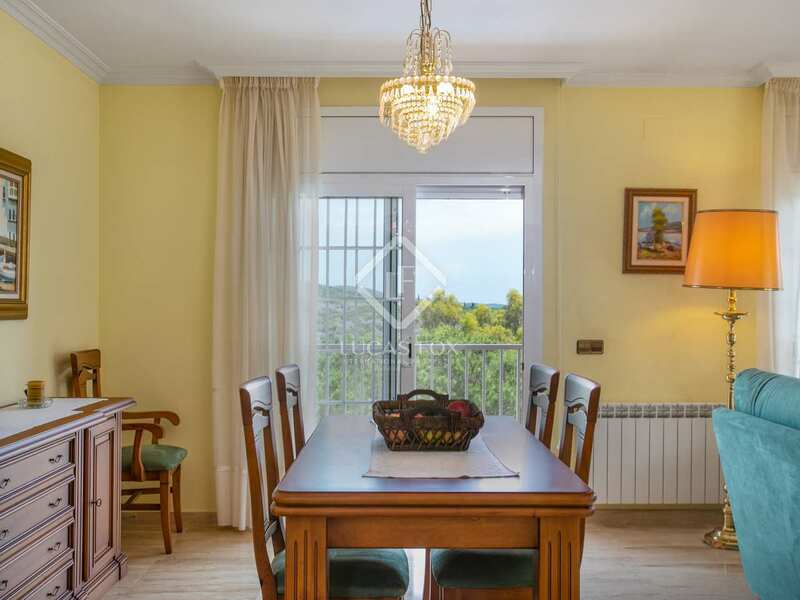 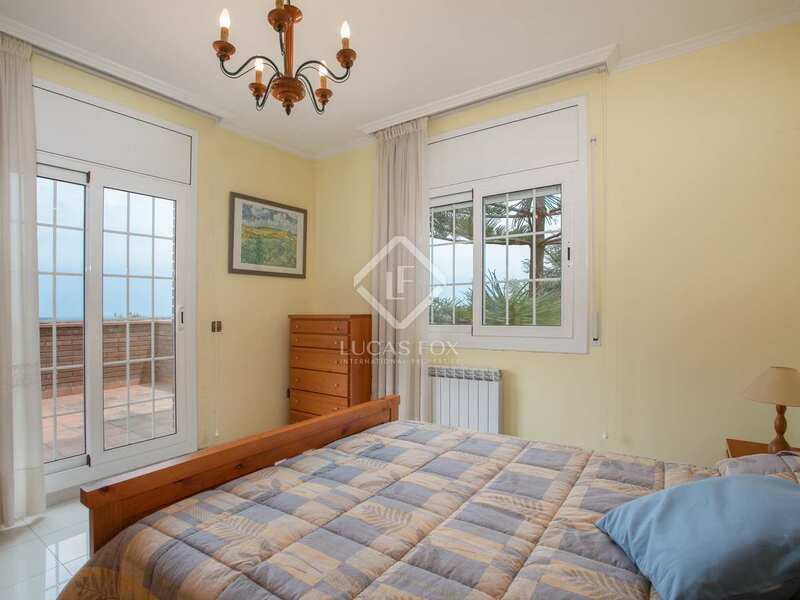 With some minor cosmetic updating, this will be a fantastic family home in a leafy, safe area of the Maresme Coast. 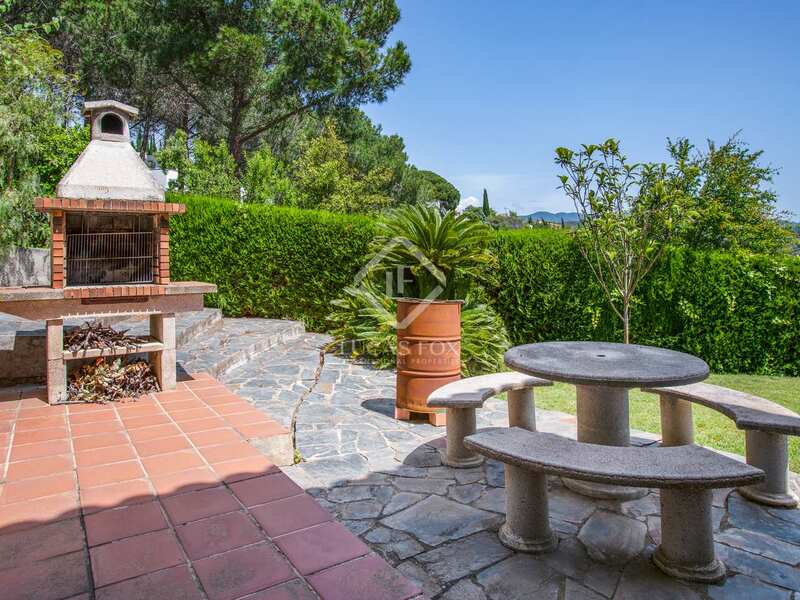 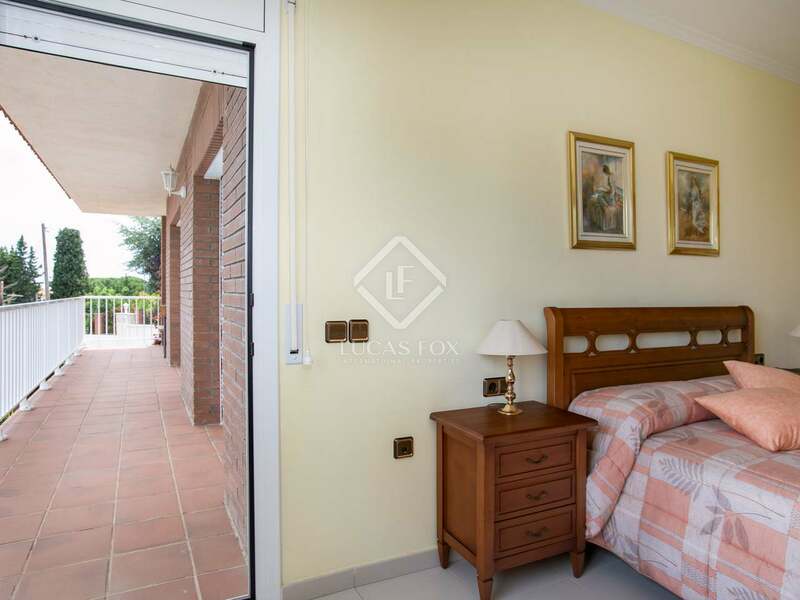 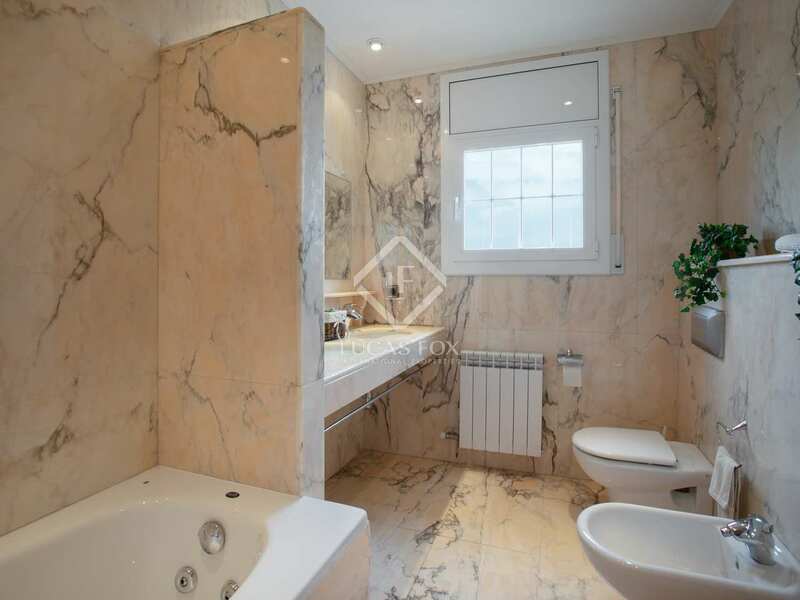 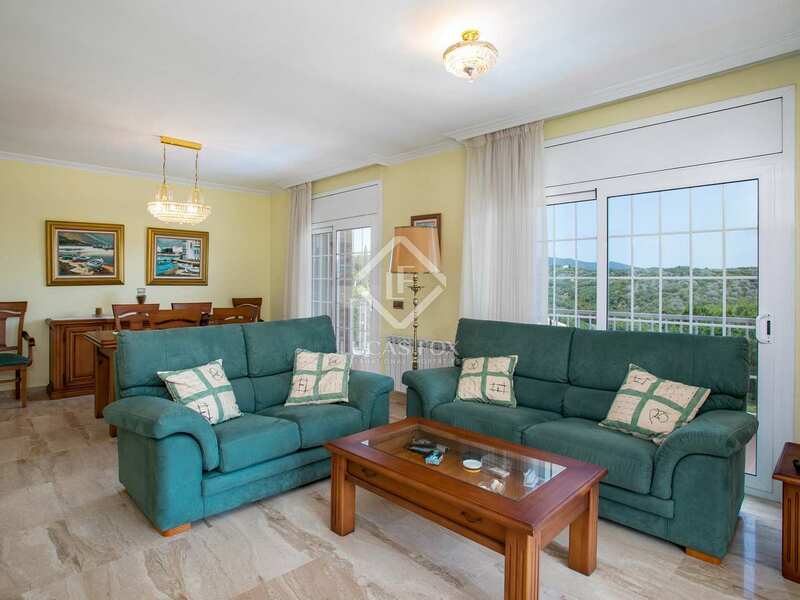 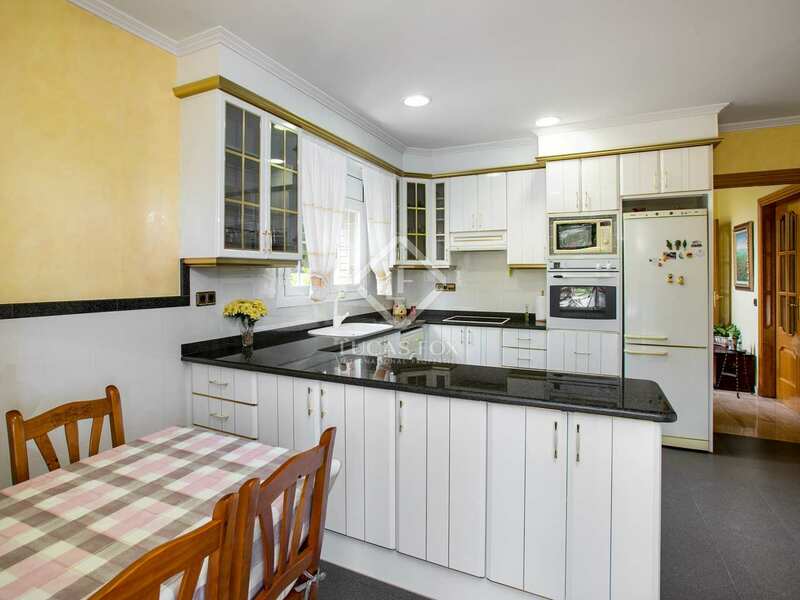 This property is located on a quiet street within walking distance of the centre of Sant Vincenç de Montalt and a short drive away from 2 golf courses.